As we approach Halloween, the weather cools and we look forward to the holidays. We also begin to see the end of 2014 approaching. Many companies at this time of the year hold open enrollment for their benefit plans. Often, folks simply take a cursory glance and then check the same boxes as the previous year. This approach can possibly leave dollars on the table. Here are a few tips to help you better handle this year’s open enrollment. As painful as it seems, it’s important to read through the information provided. You don’t have to become an expert in the area of benefits, but you should walk away with an overview understanding of how the choices will affect you and your family. For example, does switching from a PPO medical plan to a HMO allow you to keep your current doctor? It’s possible that choosing the cheaper health insurance plan could cost you more money in the long run. If your children frequently visit their pediatrician and the plan you choose has a higher co-payment, you could pay more in the long run. The same is true for out-of-pocket expenses, so review the total out-of-pocket costs that could be your responsibility. Many companies partner with providers that offer selective options, such as accidental death and other types of insurance. If you need $1MM of life insurance, it doesn’t mean that you need $1MM of accidental death insurance, as well. These additional benefits can add up each pay period. This, again, is why it’s important to truly understand your correct level of need….and not simply guess or over-insure. The folks in many HR departments are not always known for their sunny dispositions (I apologize if you work in this area…..if so, please prove me wrong…. be pleasant), so I know a phone call to HR may be a dreaded experience. But, you shouldn’t be afraid to ask questions, and, if you feel your question is not answered to your satisfaction, don’t quit. Ask to speak with a supervisor, or find someone with the answers. Many benefits are pre-tax, which means there are tax savings coming your way. Often, medical, dental, and eye plan premiums are paid pre-tax, so you don’t pay tax on the money you earn and use to pay for these benefits. Flexible spending plans are also an important component to many benefit plans. Whether a dependent care plan or a medical reimbursement plan, flexible spending plans are quite useful. In essence, you can pay for some additional medical or child care expenses on a pre-tax basis. Again, saving tax dollars. It’s important to understand the details involved with flexible spending plans, so be sure to read the fine print……or at least speak with someone who is in the know. Open enrollment can be a frustrating time, but it doesn’t have to be. 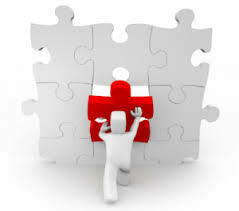 Simple take the time needed to solve your puzzle and work towards the best choices for you and your family. For those who are fortune enough to be offered these benefits, be grateful…..but also be wise and make informed decisions! 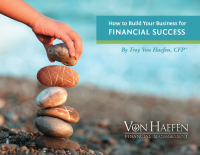 This entry was posted in Fee-Only Financial Planning, Financial Planning, Insurance, Taxes. Bookmark the permalink.